For a relaxing holiday away from the throes of this mortal coil Karim Beerahee recommends the Loire Valley, France. A gem in France – the Loire Valley is a little advertised but well known treasure near the centre of the country. The valley stretches around 170 miles and is host to some of the most picturesque views, astounding architecture and intriguing towns. A breath of fresh air in Loire and a relaxed outgoing approach to your holiday will rejuvenate the soul, sate the pallet and stimulate the mind. For all you wanderers and cyclists, a journey through the countryside of Loire on foot or by bike will be a truly rewarding experience. Rolling fields, uniformed vineyards, tamed woods and panoramic views await you and are just a short trip with P&O ferries away. Now that the weather is slowly getting better, a countryside retreat to the heartland of France could be just the reprieve from the day to day mundanity. The Loire Valley is host to over 300 châteaux dating back to the earliest of castle fortifications. Loire has been shaped by centuries of interaction between environment and man – the lush settings attracted some of the finest landscape architects of ages past, and to this day the valley remains a site of immense beauty, cultivated nature at its best. 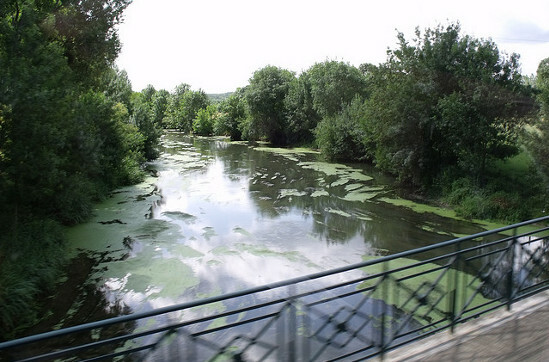 Boat rentals and trips down the River Loire will make an excellent addition to your holiday. Stop off at one of the charming villages along the valley or head in to a larger town for the full benefits of the local produce. France is famed for its wine and cheese for a reason, but we’d also recommend game and fresh fruit when it’s on the menu. A P&O ferry will take you from Dover to Calais and though it would take a good days drive to reach the Loire Valley you can make a decent road trip out of it. Stop off at Paris on the way for a rest and taste of urban life in France so that you can really appreciate the peace and tranquility of a break in the Loire Valley. For accommodation a trip for two in a hotel will give you the chance to holiday in style and take in the surroundings at your leisure. Alternatively you can rent a cottage to relax with your family and enjoy the Loire Valley with the comfort of a cosy home to return to after a day’s exploration. P&O ferries runs a Dover to Calais service five times a day, check out offers for a deal that can get you and the family, with the car, to France at discount prices.